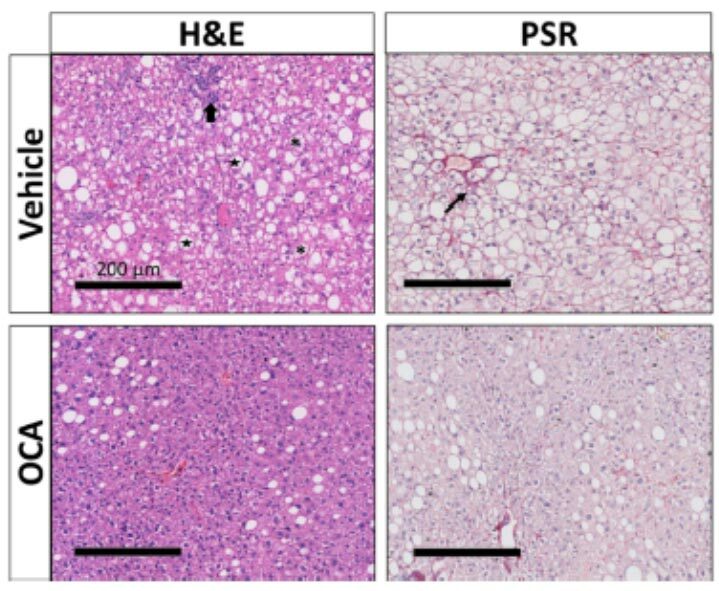 The MS-NASH (formerly called FATZO) mouse model was created by inducing NAFLD/NASH through administration of a “Western diet” plus fructose. 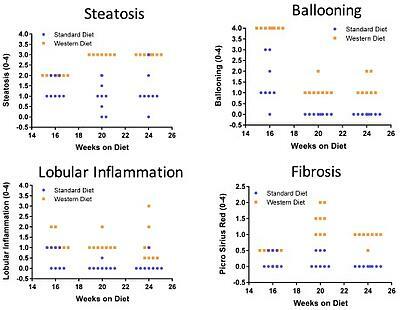 On diet, the model develops steatosis, hepatocyte ballooning, inflammation, and fibrosis over time. 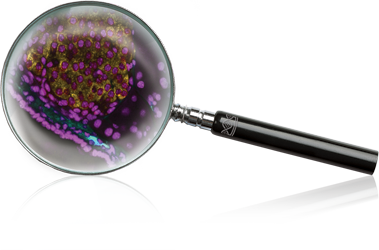 Progression and exacerbated NASH pathology is accelerated with administration of CCl4. Western Diet: 21% fat, 0.2% cholesterol, 5% fructose in drinking water. The MS-NASH mouse is an inbred polygenic animal model for obesity, metabolic syndrome, and diabetes. The model was created through crossing AKR/J and C57BL/6J strains followed by selective inbreeding. 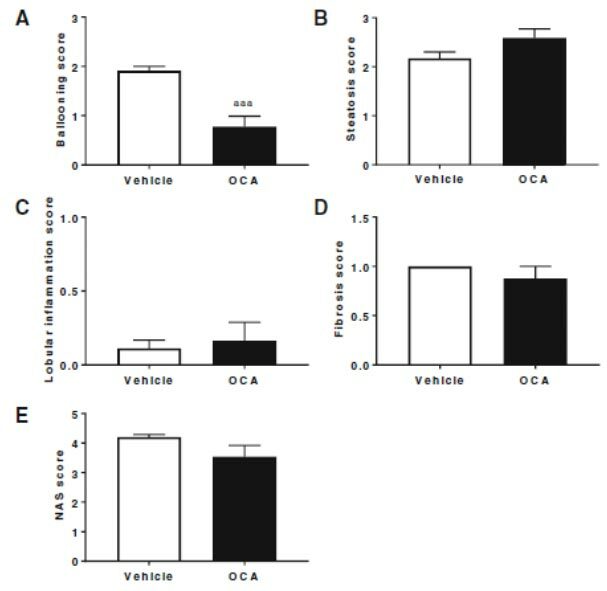 Both strains are highly sensitive to developing obesity and metabolic syndrome under the influence of high fat diets, and leptin resistance while gaining adiposity. 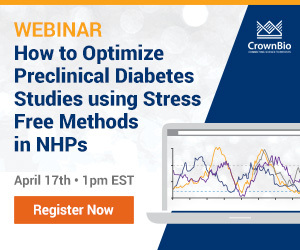 The crossing of these two strains and the selective inbreeding of the subsequent generations resulted in the MS-NASH strain, exhibiting obesity in a pre-diabetic state which slowly progresses to overt diabetes. 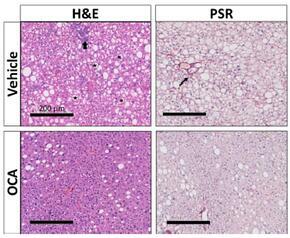 Figure 1: Scoring for progression of NAFLD/NASH pathologies in individual mice. Each dot represents an individual mouse in a cohort, either on a standard diet (blue) or on western diet (orange). 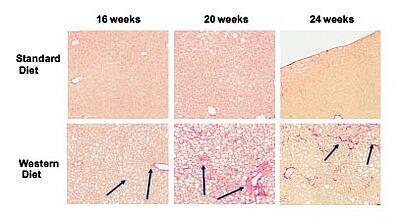 Figure 2: Progression of fibrosis in MS-NASH model (Picosirius red staining). Arrows mark fibrotic processes. 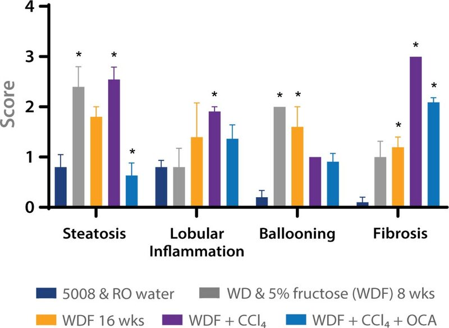 Figure 5: Liver NAS and fibrosis scoring of MS-NASH mice under different diets and treatments, including CCl4 (purple) and CCl4 + OCA (light blue). OCA reduced steatosis and fibrosis in MS-NASH mice.